In My Mailbox is a weekly meme hosted by Kristi at The Story Siren! Head on over there to check out what books arrived in bloggers' mailboxes this week. 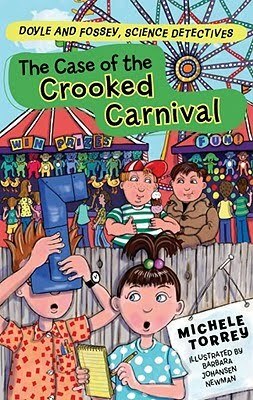 The Case of the Crooked Carnival (Doyle and Fossey, Science Detectives #5) by Michelle Torrey. (Sterling Publishing, May 2010). The continuing adventures of two kids solving mysteries with science! Check out my review of the first two Doyle and Fossey books. 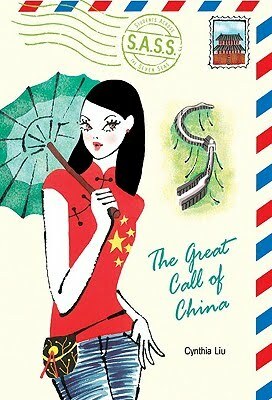 The Great Call of China by Cynthea Liu. (Puffin, February 2009). Chinese-born Cece was adopted when she was two years old. Living in Texas, she's bored with her ho-hum high school and dull job. So when she learns about the SASS program to Xi'an, China, she jumps at the chance. She will be able to learn firsthand about her passion - anthropology - and have the opportunity to explore her roots. But when she arrives, she gets quite a culture shock. And the closer she comes to finding out about her birth parents, the more apprehensive she gets. Enter Will, the cute guy she first meets on the plane. He and Cece really connect during the program. But can he help her get accustomed to a culture she should already know about by birthright, or will she leave China without the answers she's been looking for? I won this book from the fabulous Ari at Reading in Color! I loved Cynthea Liu's Paris Pan Takes the Dare, so I'm excited to read this one, too. And that's it for my mailbox, but I do have to give a shout-out to the magnificent debut author Morgan Matson for introducing me to the band Owl City through her book Amy & Roger's Epic Detour. I bought the first CD yesterday and I've been listening to it nonstop. I'm slowly making my way through the playlists in the book and finding some great music! I'm going to have a review of Amy & Roger up this week - I loved it!